The band was formed in May 1998 by Sarquanaar(guitars) and Timophey(guitars). Later that year they invited a bassist and a drummer thus completing the first line up of the band. The newly formed quartet started to play instrumental guitar based Black metal under the name of "More Sorrowful than Night". But that was not for long due to soon line up change. While forming a new line up the band founders decided to make their composing more versatile adding some folk and gothic themes to the music and some symphonic arrangements to the sound. The band also experimented with clean female vocals as lead vocals for the Black metal music. In the beginning of 1999 the line up was: Sarquanaar(guitars, bass, synths, programming), Timophey(guitars, synths) and Eugenia(vocals). The next line up change was marked by Eugenia's departure some months later and it took some time to build a full working band again. Nevertheless time wasn't wasted — it was spent for the final steps in undestanding what this project is all about. The name was changed to "Wings of the Crystal Abyss" and the music was developed into guitar-based symphonic Black metal. After several months spent in looking for musicians the band met 1999's fall having Sarquanaar(vocals,guitars), Timophey(guitars), Lamia(synths), Asterius(bass) and Ilya(drums). 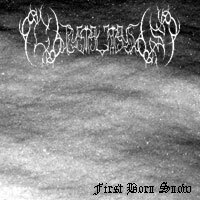 Soon after the band had it's line up full again it has recorded its first demo single entitled "First Born Snow" which helped the band to start its live performance career in November 1999 under the final name — "Crystal Abyss". Crystal Abyss had a tremendous success on their first shows and in a year became one of the most respected bands all over Russian Black Scene. The band played some headline shows and participated in several festivals held by famous metal zines. In the middle of the year 2000 the line up has been changed again. For that time the band lost one of it's founders — Timophey was no longer in Crystal Abyss due to personal reasons and was replaced by Alex(Ashen Light) for a while and a bit later by Valafar(Radigost). Another line up change was drummer as Ilya was replaced by Gniffuts. At the same time Crystal Abyss recorded another demo single entitled "Visions of the Past". Year 2001 started with the band's participation in one of the biggest and oldest metal festivals of Russia - Iron March. A bit later Crystal Abyss made a new recording — "Sageness Fallen" EP which was meant to be a promo material but became the first official band's release done by Black Oracle Productions due to huge interest in Crystal Abyss recordings. For that time line up was: Sarquanaar(vocals, guitars), Valafar(guitars), Asterius(bass), Lamia(keys), Gniffuts(drums). "Sageness Fallen" got some very good press reviews (i.e russian version of Classic Rock officially called the band "one of the best Black metal bands of Russia"). Crystal Abyss had a release support tour over Russian towns that finished with a great gig in Moscow considered one of the greatest events in life of Russian underground scene for some last years. 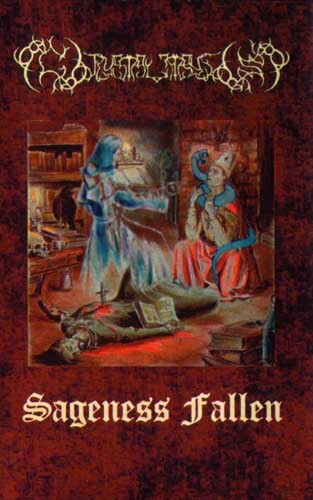 Later on, the "Sageness Fallen" material was included into some compilations released in Russia, Italy and France receiving a high percentage of good reviews. The fall 2001 was met with a new bassist — Tribolosus as Asterius had to dedicate himself to his family and career not connected with music. Crystal Abyss played lots of sold out gigs in Moscow and other towns of Russia. Unfortunately it was over quite soon. Since 2002 till 2005 the band was nearly frozen as Sarquanaar and the rest of the members had to take a break in doing the band forced by diferent circumstances. Crystal Abyss played single gigs but had no opportunity to do a band the way it should be. Valafar left late in 2002 and during the year 2004 Lamia and Tribolosus left also. Since that time the band existed thanks to support of session bassist Myphares, session guitarists Mortal and Labyrinth and session keys players Sinctriah and Blackwinged. But late in 2005 all obstacles were pushed aside and the time has come for Crystal Abyss to rise again. The band was revived in it's new form of Sarquanaar(guitars, vocals), Myphares(bass), Gniffuts(drums) and Blackwinged(synths). During year 2006 the band rearranged it's old meterial from "Sageness fallen" EP and prepared some completely new songs to do a full-scale album. During the fall 2006 Gniffuts and Blackwinged left as their mission in reviving the band was over and gave way to Sinctriah(synths) and Perfumer(drums) completing the strongest Crystal Abyss line up ever. In December 2006 the band has finished its work on "Word of the Darkest ages" album which was recorded by legendary Polish producer Szymon Czech in Studio-X(PL).